I would like to thank you for your confidence in allowing us to care for your patient. 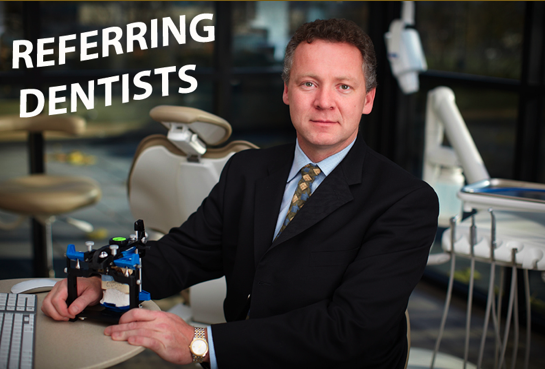 We are committed to providing the highest quality restorations for your patients. Your Patient will be directed to return to your office for continued care and maintenance with a full report of the treatment provided by our office. Please do not hesitate to call me if you wish to discuss any aspect of your patients care. I am always available to assist your office and your patients. You may refer to our office by downloading the referral form below and faxing it to us at 250-862-8818 or scan and email it to us at receptionist@kelownaprosthodontics.ca Thank you!